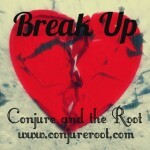 Break Up Hoodoo supplies are used to break up lovers, couples, or you and your lover/spouse. It can be combined with hot foot spells or mixed with inflammatory confusion formula. A common method is to work a break up jar in which Break Up herbs and curios are combined in the jar with vinegar or urine, along with personal items from the targets. The bottle can be worked with candles, buried in the couples front door step, buried in a grave yard, or thrown into running water. When it comes to Break Up work, you should be aware of the repercussions you can endure or how the work will affect innocent people involved such as children, this being the case that you are the “other woman” or “other man”. 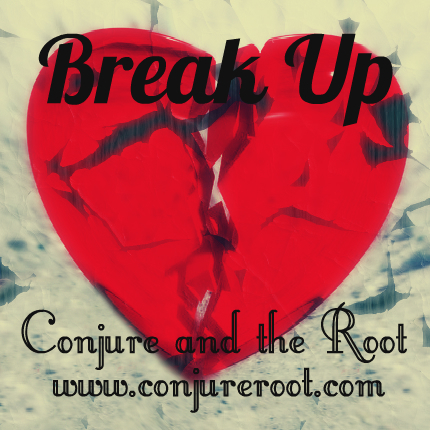 One of the first things that I ask clients when they express the desire to work with Break Up products is “Is he worth it?” This same question I ask my clients when they want to do Reconciliation Spells or Stay With Me Spells. It’s possible to undo the work you have done but I have had many female clients regret the choices of Breaking Up a couple to have him come back to her. This is usually the case when the man left her originally to be with another woman or he was caught cheating on her. So, for these reasons, I always ask if it’s really worth the trouble to go through working this type of work. It can be long and enduring, I have seen clients work Break Up spells for 7 months before getting their results.